The Executive Board of HSL decided on 13 February to establish two new bus routes in South Espoo. In addition, other changes will be introduced during the spring. The Executive Board took the decision following a vote. HSL has earlier decided to implement several minor changes to other bus routes and their timetables. The new routes are 104 and 544. Bus 104 will run from Lauttasaari to Haukilahti via Westend, bus 544 from Espoonlahti to Leppävaara via Soukka and Ring Road II. Bus 104 is introduced to improve transport links from Haukilahti and Westend in the direction of Helsinki city center. The bus will run to Lauttasaari Metro Station, where changing from bus to Metro is smoother than at Tapiola, where walking distances are longer than usual due to construction works. The bus will start operating on 13 August 2018 and it will run Monday to Friday about every 20 minutes until about 8pm. Bus 544 is introduced to reinstate a direct bus link from Espoonlahti to Leppävaara at peak times. The bus will run from Kivenlahti via Soukka and Iivisniemi to Länsiväylä, from where it will continue along Ring Road II and Turunväylä to Ring Road I and Leppävaara station. The aim is for the route to start operating as soon as possible under the current transport service contract. The operation of the route will be tendered before the beginning of the autumn timetable season. In addition, route 125B will be extended from Kuitinmäki to Latokaski in August 2018. Other measures to speed up bus services in South Espoo will be examined during the spring. The terms of contract for the operation of the new routes provide loose enough limits for changes to accommodate further development of the route network. In addition, at the end of May (29 May 2018), the Executive Board of HSL will discuss a report on potential other new routes and measures HSL has undertaken following the desicion made by Espoo City Council (12 February 2018). 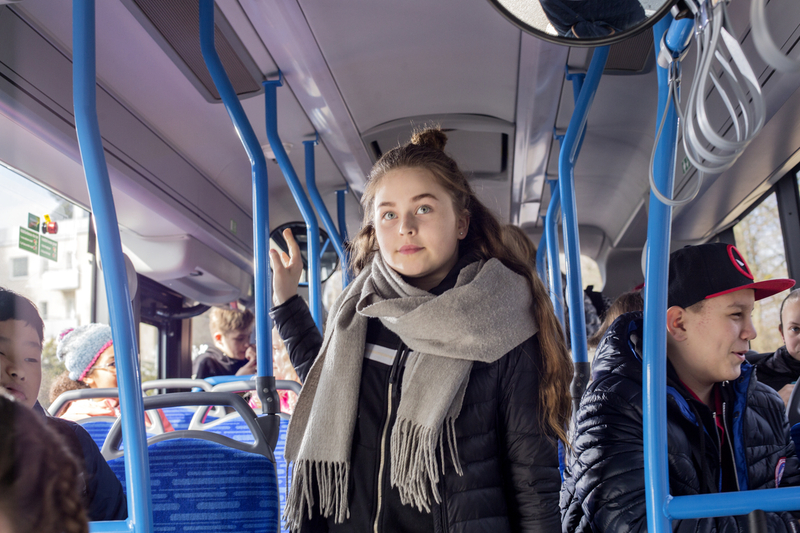 The next changes will take effect on 26 February with new timetables for Lauttasaari bus routes 21 and 21B to improve peak services. According to preliminary information, the route network reorganization does not seem to have significantly affected ticket sales. In January 2018, Travel Card ticket sales in Espoo (personal Travel Cards of residents) were up by five per cent from January 2017.